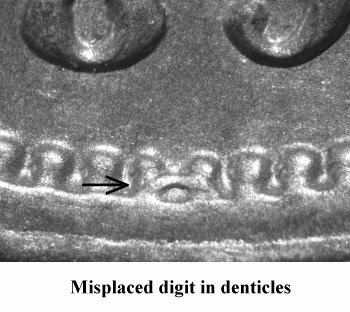 Comments: The top loop of an 8 or 9 digit is visible in the denticles at a point below the 8 and 9 digits. 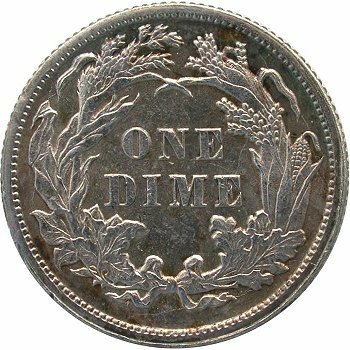 This variety was discovered by Bill Fivaz. 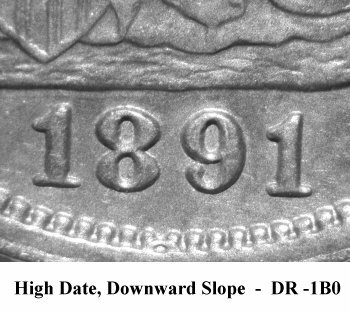 Faint die cracks are seen in the lower right wreath on Reverse G.
This misplaced date variety is also listed as an entry in the Top 100 Varieties set. 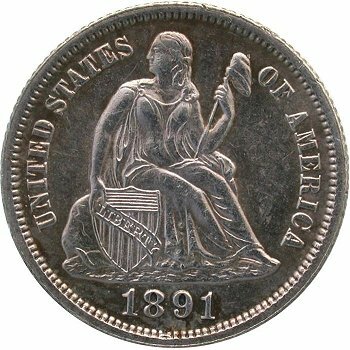 Though scarce, examples can be located with diligent searching.